The Lauf Grit is the perfect addition to any gravel bike - or to “gravel-up” any CX bike. It makes the bike more capable and more comfortable. While remaining light and lightning fast. Make your next adventure the most fun one yet! Featuring superb small bump sensitivity, zero maintenance and a 5 year warranty. 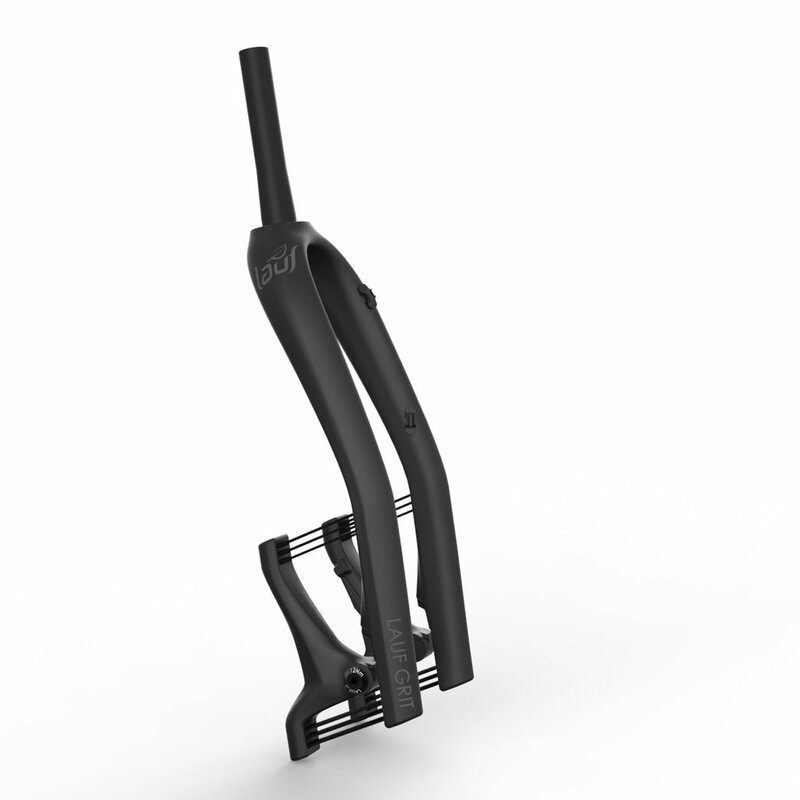 Tire clearance: Up to 700x42c and 27.5x2.1"
Brake mounts: Grit uses Flatmount+20. In order to use a 160mm disc, you should use a brake setup intended for 140mm discs (as we believe 140mm is too small for gravel/CX we pushed things up to 160mm minimum). If you have flatmount brakes you simply flip your (standard/included) brake adapter to the 140mm setting to work with 160mm discs. If you have postmount brakes you buy the 140mm version of the Flatmount to Postmount adapter in order to use 160mm discs.